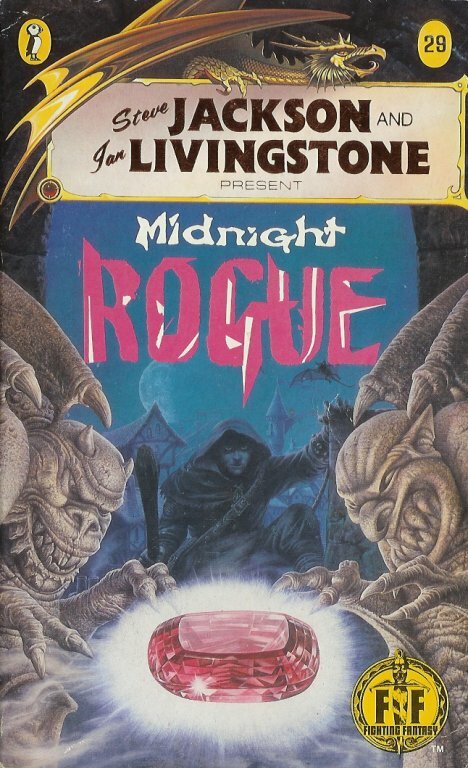 Twenty-seven years after the fact, the Sidekickcast blog has published a review of my Fighting Fantasy book, Midnight Rogue. Reviewer PJ Montgomery seems to like it, although he raises a point that concerned me at the time. Inspired by tabletop RPG supplements like Chaosium’s Thieves’ World and TSR’s Lankhmar: City of Adventure, I set out to write a city adventure for a thief character. The best-known city in the Fighting Fantasy world of Titan was Port Blacksand from Ian Livingstone’s earlier book City of Thieves, so I set my book in the same city and called it Prince of Thieves. Ian worried that this was too similar to the title of his book, so mine was changed to Midnight Rogue. The essence of a thiefly adventure, as I saw it, was that it should involve a lot of sneaking and very little fighting. After all, the most successful thief is one who is never seen, let alone challenged. In the first draft, fighting was always the worst possible option. That didn’t go down too well with the editors at Puffin. Their response to my first draft was an order to add a lot more combat, accompanied by a tart reminder that “it is Fighting Fantasy after all.” I thought they had missed the point, but I set about rewriting to give them what they wanted. I shortened the city part of the adventure, adding a few combats here and there, and I used the recovered space to put in a dungeon at the end, which I hoped would satisfy them. What makes me feel vindicated, after all these years, is that the part he likes is the city adventure. Could I have written a better dungeon for the end of the book? Probably. As good as an Ian Livingstone masterpiece like Deathtrap Dungeon? Probably not. But even if I had, it would still have felt odd after all the sneaking about and city exploration. Looking back, I don’t think the book could ever have worked well as this odd hybrid. Maybe it’s sour grapes. When I wrote Midnight Rogue I was also working on the early part of the Enemy Within campaign for Warhammer Fantasy Roleplay, and I wasn’t in a dungeon-friendly headspace at all. 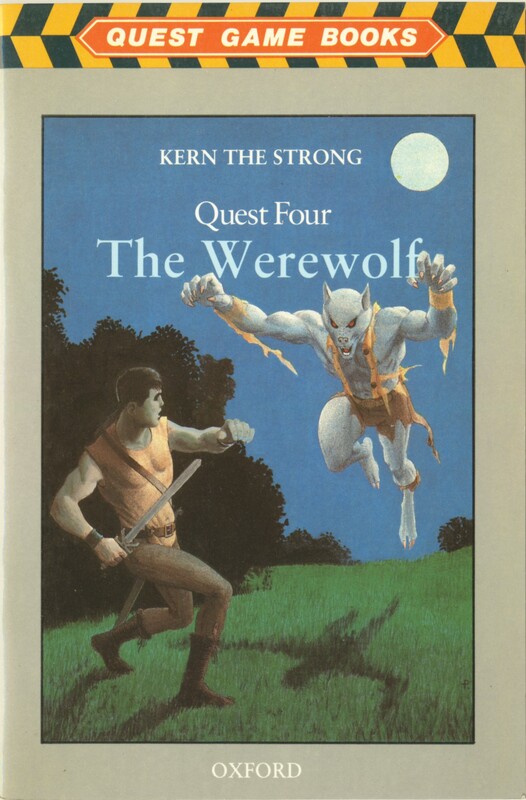 Subconsciously, I was probably trying to turn Fighting Fantasy into WFRP, ignoring the fact that it was quite happy being Fighting Fantasy, thank you very much. Not that it makes any difference at all after 27 years. But still. If you are interested in finding out more about my career as a Fighting Fantasy writer, I did an extensive interview for Fighting Fantazine a few years ago. I can’t link directly to it, but issue #7 (and all the others) are free PDF downloads. If you’re a gamebook fan from the ’80s you’ll find a lot to like about this magazine, and I’m sure you’ll be happy to learn that the hobby is still going strong in various electronic formats. Fighting Fantasy gamebooks started in 1982 with The Warlock of Firetop Mountain. Over the next twelve years, a total of 59 gamebooks was published, along with a magazine, a multi-player RPG, and other spin-offs. I was by no means the most prolific contributor to the series, but here’s a list of my contributions to the gamebook craze.